Amy Sowder – Page 2 – What do I eat now? NYC-based food, fitness, and culture writer — and cat lover extraordinaire. Social media addict. Ravenous consumer of novels. Greedy for exercise endorphins and healthy versions of decadent dishes. 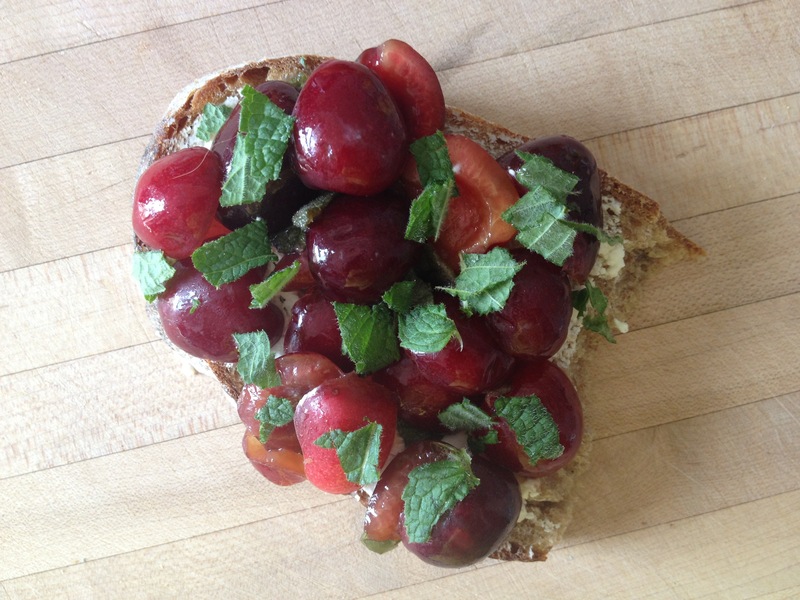 My Goat Cheese Bruschetta with Cherries and Mint on crusty wheat bread from a bakery. I’ve gorged on the rewards of my friends’ sweat and toil long enough. After savoring countless multi-course, elaborate meals created by my fellow homecooks, it was time for me to tie one on — the apron. Finally starting my own blog. It’s going to be a food blog, focused on healthy eating. I still crave brownies and cheesy goodness, but I find what I focus on tends to bleed into every other area of my life, and I want that to be healthy eating. First, by nipping my sugar addiction in the bud. I eat like two to three desserts a day lately, and no amount of running is going to keep the damage from that at bay. Plus, I don’t run that often anyway. But this is about food. Cooking mostly, but maybe some dining out too. Wish me luck.